"To me, being a director is synonymous with being a lifelong learner. I recommend the ICD-Rotman Director's Education Program to directors who take their role seriously. The program provides a solid platform for those who strive to meet the test of excellence, performance, and commitment on their boards." - Irene A. Seiferling, BA FEA, ICD.D; President, Board Dynamics Inc. Better your skills. BETTER YOUR BOARD. The Directors Education Program (DEP), jointly developed by the Institute of Corporate Directors (ICD) and the University of Toronto's Rotman School of Management is offered nationally at Canada's top business schools. The Saskatchewan DEP is being coordinated provincially by the Edwards School of Business, University of Saskatchewan and offered in collaboration with the Levene Graduate School of Business, University of Regina. This is the first jointly-delivered, two-city DEP in Canada. The continued growth of Saskatchewan's diverse economic and business landscape highlights the importance of this partnership and offering. Complemented by some of Canada's most accomplished and highly respected directors-in-residence, this 12-day course is taught by leading governance experts delivered in four three-day modules. The program offers experiential learning through breakouts and board simulations tailored to meet the unique needs of Saskatchewan directors of corporate, Crown, co-operative and large not-for profit organizations. Module I provides a comprehensive overview of the fundamental board tasks and processes including director legal duties and responsibilities, overseeing strategic decisions, as well as managing group dynamics and decision-making in the boardroom. Module II focuses on the board’s responsibility to oversee and monitor financial performance, health, and disclosure. Participants take part in group exercises that illustrate how to effectively organize and run audit committees, as well as improve their personal effectiveness in the board meeting context. ﻿Module III focuses on the board’s role in enhancing human performance, including the appointing, evaluation, compensation and renewal of the executive team. This module also examines how to structure boards with the appropriate set of director skills and experiences. In Module IV, participants integrate their learning across the four modules by employing an enterprise risk management framework that helps directors identify and prioritize the wide range of issues influencing their organizations. Some of the specific risks and issues include mergers and acquisitions, technology investments, operations crises, finance irregularities, human capital failures and governance breakdowns. Directors are continually challenged by information gaps, time squeezes and the behavioural dynamics that can be encountered in the boardroom. The ICD-Rotman DEP has been specifically designed to help directors overcome these challenges by introducing activities and processes that assist them in fulfilling their role. The DEP is the only program of its kind in Canada that bears the seal of the director community itself. DEP Alumni are part of a national network of 3,300 directors (including many from Saskatchewan) and almost 9,000 ICD members across Canada. A dynamic learning environment rich with peer-to-peer insights, director dilemmas, board and committee simulations, and case studies. Acclaimed faculty - Taught by national and local academics, seasoned directors and leading governance experts. Flexible scheduling - Modules may be taken in any of the nine cities where the DEP is offered (space permitting). First step towards the ICD.D designation upon completion of a written examination and a board meeting simulation chaired and vice-chaired by some of Canada's most senior directors. Non-members of the ICD receive a complimentary one-year membership upon application. DEP Focus: The DEP is not an entry-level director education course. It has been developed for experienced directors who wish to hone their skills and be more effective. The course itself is focused primarily on for-profit governance with an emphasis on the governance of publicly-traded corporations. As such, the course is most appropriate for directors with for-profit governance experience or those directors and professionals with near-term opportunity to serve on for-profit boards. DEP Eligibility: Admission into the DEP is granted to those applicants who meet the minimum national experience standard (the ‘bar’). The bar reflects the focus of the DEP on for-profit director effectiveness. The bar represents a combination of business acumen and professional experience, board service and director experience, and other factors such as education and honours, supported by appropriate references. Your application will be reviewed by an admissions committee and it is, therefore, important that you provide as much detail as necessary within this online application form. If you have any questions about your eligibility for the DEP please contact Hadi Hassani at education@icd.ca or 1-877-593-7741 Ext. 290. To see how the DEP fits in with our skills & experience matrix, kindly view our course guide at http://www.icd.ca/Courses.aspx. Further details can be found on page 3 of our National Course Guide. Board Experience: Except in exceptional situations all admitted participants will have appropriate experience as a director. Preference is given to DEP applicants who have experience on for-profit boards. Preference is also generally given to those who have held independent board positions, as opposed to executive or ex-officio positions. Crown corporation boards and large non-profit boards that act as oversight boards are preferred over management boards or boards focused primarily on singular activities such as fundraising. While some consideration may also be given to applicants who have not served directly on boards but have extensive experience advising or otherwise working with boards (e.g. professionals who may have been prohibited from serving on boards by virtue of their professional capacity but advise and serve boards extensively), it should be noted that the DEP Admissions Committee does not consider this to be a substitute for experience as a sitting director, but rather as a complementary piece. Executive Experience: In addition to board experience, DEP applicants should also have a highly successful track record of senior executive or professional experience and be able to demonstrate significant business acumen. The DEP Admissions Committee is looking for individuals that have shown an ability to lead, innovate, and inspire success at the highest professional levels, and have developed both a breadth and depth of experience as a result – the same qualities that will, in turn, serve them well as directors of for-profit corporations and complex organizations. References: The DEP Admissions Committee considers references to be an important part of the applicant’s overall admissions package and encourages appropriate referees. Applicants are encouraged to provide references from fellow directors, professional peers or superiors, or other senior leaders who can comment on the applicant’s experience, character, and suitability for the program. Preference is given to references from DEP graduates, members of the ICD, and sitting directors who are familiar with the DEP focus and the DEP learning environment. Referees should be free of any material conflict with the applicant and applicants should avoid references from direct reports (which would include, for example, a CEO serving as a referee for a member of his/her board) and suppliers (including a service provider to the applicant - or to the organization of the applicant - serving as a reference, such as lawyers, accountants, auditors, etc.) who may feel encumbered due to the nature of the relationship. The application fee is $500 + tax. The program fee is $18,750 for all four modules plus applicable taxes. This fee includes tuition, all reading materials, ICD.D examination fees and meals during the program. Meals include breakfast, morning break, lunch, afternoon break and beverages throughout the day. The DEP is a tax-deductible expense. Norman Sheehan has been a divisional controller for a junior gold exploration company, a corporate controller for an offshore oil exploration firm, and a financial analyst for a coal company. He currently sits on the board of Affinity Credit Union, where he has been a board member for over five years. While on Affinity’s board, he has chaired the Audit and Risk Committee, and currently sits on its HR Committee. After working as a professional accountant for 10 years, Norman earned his PhD in strategy at the Norwegian School of Management, and is currently a Professor in Strategy and Management Accounting and CPA Scholar at the Edwards School of Business. In this role, he teaches, researches, and facilitates in the areas of strategy, performance measurement, governance and risk management. Norman was recognized as a Master Teacher at the University of Saskatchewan in 2013 and is also involved in developing and presenting education materials for the CPA Canada Professional Education Program. 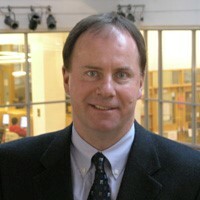 Ron Camp is the Associate Dean & Director of the Levene Graduate School of Business (LGSB) in the Faculty of Business Administration at the University of Regina. Ron has provided executive and management development services through the Centre for Management Development and led the development of MBA programs in International Business, Engineering Management, and Public Safety Management in the LGSB. Ron is also an associate professor, teaching graduate courses in Change Management and Leadership and publishing research into issues such as Decision-making, Leadership, Cross-cultural management, and Trust. Ron has been a board member and/or officer of several not-for-profit organizations. Currently he is Treasurer on the board of REACH, a food security program in Regina. Other board and committee service includes the Spokane Alcohol Rehabilitation Center, Salem Area Habitat for Humanity (Oregon), Acadia Park Preschool Society, Canadian Federation of Business School Deans. PLUS Hear from leading governance experts, key local academics and Canada's most accomplished and highly respected directors-in-residence. This program is offered in collaboration with the Levene Graduate School of Business, University of Regina. Making the Director's Education Program in Saskatchewan the first jointly-delivered, two city DEP in Canada.